University of Texas English professor Douglas Bruster has published in Notes and Queries a textual analysis which demonstrates that 325 lines added posthumously to Thomas Kyd’s The Spanish Tragedy were in fact written by William Shakespeare. The debate is hardly a new one. Thomas Kyd wrote The Spanish Tragedy, or Hieronimo is Mad Again sometime between 1582 and 1592, shortly before his 1594 death. When the popular play was reprinted in a 1602 quarto around the same time as Hamlet, five new sections were added. In 1833, poet and literary critic Samuel Taylor Coleridge was the first to propose Shakespeare as the unknown hand. This attribution has been argued in academic circles since. 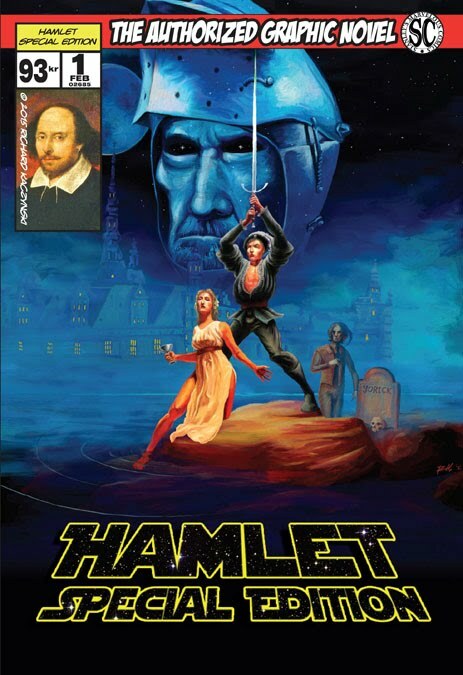 For instance in 2012, ETH Zürich professor emeritus Sir Brian Vickers asserted Shakespeare’s authorship based on computer analysis. Bruster, however, claims that his textual analysis has definitively solved the mystery in Shakespeare’s favor. The Royal Shakespeare Company’s new edition of William Shakespeare and Others: Collaborative Plays, to be published by Palgrave Macmillan on October 28, will contain The Spanish Tragedy along with two other works with sections recently identified as having been written by the Bard: Arden of Faversham and Mucedorus. 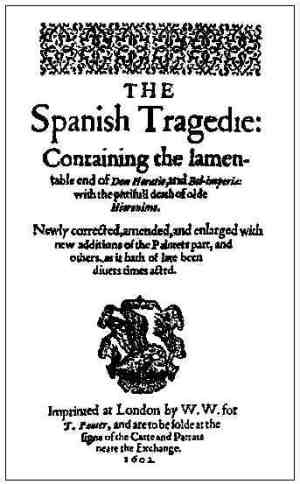 Douglas Bruster has demonstrated that 325 lines added to the 1602 posthumous publication of Thomas Kid's The Spanish Tragedy were written by Shakespeare.